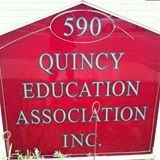 Thank you Quincy Education Association, Inc., for your support. Thanks so much Quincy Educators Association. As a struggling Teacher in NBPS trying to hang in there during this difficult time, your support means so much. It is appreciated!! Thanks Quincy. It means a great deal. Appreciate it! All teachers should give their support!!! !Keep up the good work!Newton City teacher supports this effort! Pia Plugs the “NEW” New Bedford High………Submitted by a Member.